Become a singing sensation for the night at one of these karaoke bars in TN. Enjoy a fun and exciting night out with friends singing your heart out. We have an in-depth guide to the best Tennessee karaoke bars for you to enjoy! 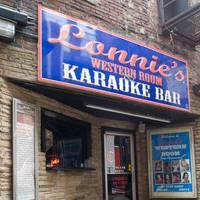 Lonnie's western room stands as one of the best entertainment joints in Tennessee. It has the best and the most friendly staff that will help you out with your night out for fun. It is best known for karaoke events. The music is just amazing, ranging from blues, classics, rock and even oldies, you will be spoilt for choice. It has employed the best singers to set the pace on karaoke nights. There is ample parking. Come and experience the best Karaoke events. 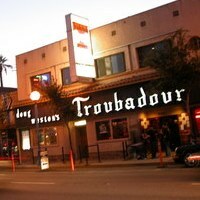 Troubadours karaoke bar is a karaoke bar devoted particularly to karaoke in TN. If you are in Tennessee and you love to sing your heart out then this is the place to be. It has the best stage and the best karaoke equipment in town. It is also known to hold regular activities and contests for patrons, the town and even the state, with prices up for grabs. To know just how good the place is you have to experience it for yourselves. 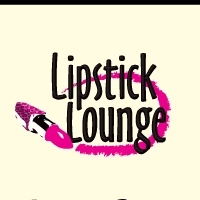 The lipstick lounge is a bar that is set to blow your mind. The drinks are so awesome, they have the best man to mix the drinks. The music is bound to blow your mind, a mixture of all genres and tastes. The karaoke events are the liveliest you will ever be in. The karaoke equipment is so good that every time you take the mic to sing you feel like a rock star. Tennessee could never be more proud to be home to this karaoke bar. Come and experience the best entertainment in the land. Do you love singing? Are you in search of a place where you can sing your heart out, somewhere where you can share your voice with Tennessee residents? Well, you have come to the right place. Ms Kelli's is an outstanding Tennessee karaoke bar, which gives many Tennessee residents the chance to sing their hearts out. Other patrons can watch people sing as they enjoy sumptuous meals and cold drinks. 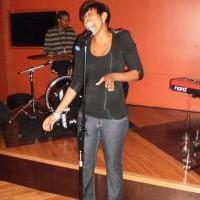 If you love singing, Ms Kelli's is definitely the place you should be. Do you need to have a karaoke event for your best friend's birthday? 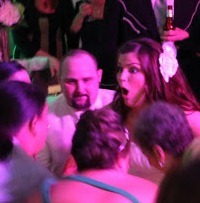 Or do you need a karaoke event for your own wedding? There is definitely one place in all of Tennessee which offers the best karaoke events in town. That's DJ emcees- Disc Jockey Karaoke bar. As one of the most prominent Tennessee Karaoke bars, DJ emcees- Disc Jockey holds events where patriots can sing their hearts out. Here, you can gain the confidence to sing and let the whole world hear your voice. 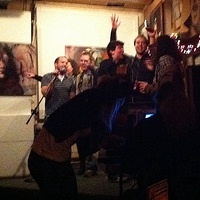 You will never experience a real Karaoke event until you visit Dru's Place. Here, Karaoke is at its best with patrons pouring in each day to hear the best Karaoke Tennessee has to offer. With a variety of foods and drinks, Dru's place is definitely the best place to be for any Karaoke night. 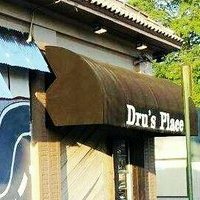 If you want to hold your best friend's birthday party or a bachelor party on a Karaoke night, Dru's place is the best venue. This is simply one of the best Tennessee Karaoke bars. 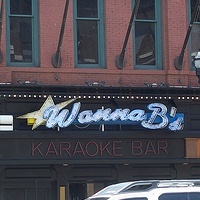 Wanna B's Karaoke bar is renowned for hosting some of the most awesome Karaoke nights in Tennessee. With thousands of patrons visiting the establishment each passing day, it has become reputable as one of the best Tennessee Karaoke bars. Enjoy a Karaoke night at Wanna B's by either listening to other people sing or singing your heart out in front of everyone. Wanna B's is also stocked with cold drinks and greasy meals for all the patrons who attend Karaoke nights. 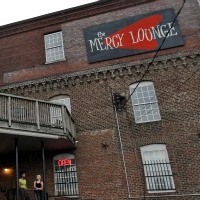 The mercy lounge is a very nice place to be. It is upstairs from cannery ball room but holds a slightly smaller crowd in comparison. It has some of the best karaoke events in Tennessee. It has great equipment for karaoke events that project music in a way that everyone will appreciate. It is the favorite spot for friends to come and enjoy themselves as they catch up on events. The staff is very friendly and helpful. If you are experiencing any trouble they will be most helpful. So when ever you are in Tennessee you should make a point of checking out this place. 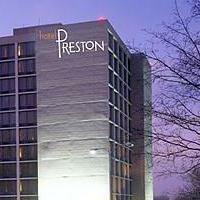 Preston hotel houses one of the best karaoke bars in TN. It has the state of the art equipment that does justice to the music. The bar is endowed with ambiance and project a friendly atmosphere that makes it easy for someone to ease into. This is a place in Tennessee that you must come to and experience karaoke like no other. The staff is friendly and helpful if you ever need a hand. The parking is ample and the security is top notch. Singing in any Karaoke event requires confidence to stand out in front of many people. For many people, that confidence can't be acquired unless they are a bit drunk. Well, Windjammer restaurant brings out the confidence in you and allows you to sing out for the rest of the world to listen. Karaoke events at Windjammer restaurant have been adored over the years making it one of the best Tennessee Karaoke bars. Enjoy the food, the cold drinks, listen to other people sing or sing yourself at Windjammer restaurant.